Garage overflowing? Cupboards bursting at the seams? Or just need a temporary storage solution? Budget Box Self Storage is Tasmania's cheapest and most convenient way to store your furniture, clothes, files, boxes or anything that might be cluttering up your life. We specialise in home or office storage, from a few boxes of books up to an entire 5-bedroom house full of furniture. We use portable storage modules that are as safe and secure as old fashioned static storage units, but will save you time and money! Now available in Hobart and Launceston! Not only will you save money with the cheapest storage in Hobart and Launceston Metro, you'll also save on transport and movers. The storage comes right to you! Don't waste your time making trips back and forth between your house and a traditional static storage unit. Pack up everything in under 2 hours and let us take it for you. Our storage boxes are built tough. You hold the only key to the box, so we don't have any access. Our storage facilities are fitted with industry standard security systems. Budget Box Mobile Storage is the easiest way to remove the clutter from your home or office. 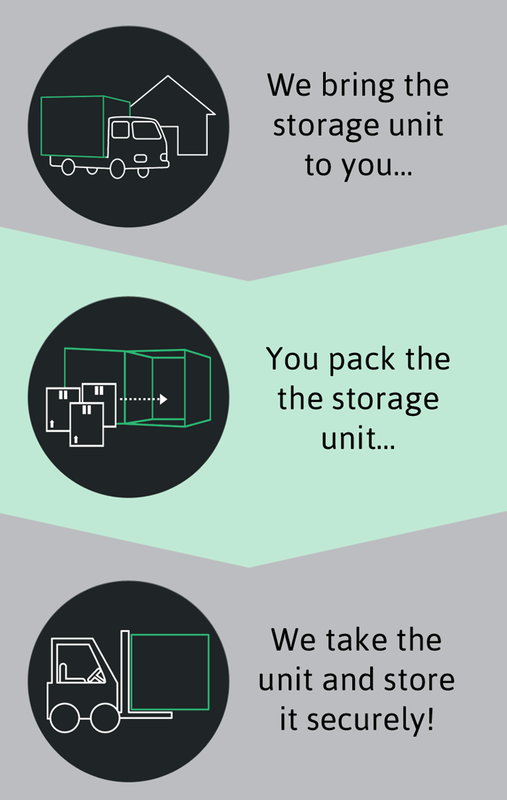 We bring the Storage unit to you! No need to bring anything to our facility. Our storage boxes are made from engineered plywood composite, designed to breathe and withstand mould and damp. Your belongings will be returned as you left them. Budget Box Mobile Storage is proudly Tasmanian owned and operated. Servicing the greater Hobart region, we're as local as you are. "Easy to use service and great customer service. We just completed a 6 month storage and it was all smooth from booking to delivery and collection through to completion. Thanks, will use again!" "Great experience with friendly service. Highly recommend!" - Christopher E, Old Beach. "Super convenient storage solution. They drop-off and deliver your storage container so you don't have to!"